Planning a Florida trip this winter? If so you need to plan on spending a day at The Revs Institute on the Southwest Coast in sunny and warm Naples. There you can view well over one-hundred of the finest cars in the world in one of the foremost automotive museums to be found anywhere. Today we are featuring this ultra-rare 1933 Packard Twelve Sport Phaeton with coachwork by Dietrich to show you an example of what awaits your visit to the Institute. You can view some of the more than one-hundered vehicles on display from The Collier Collection here. 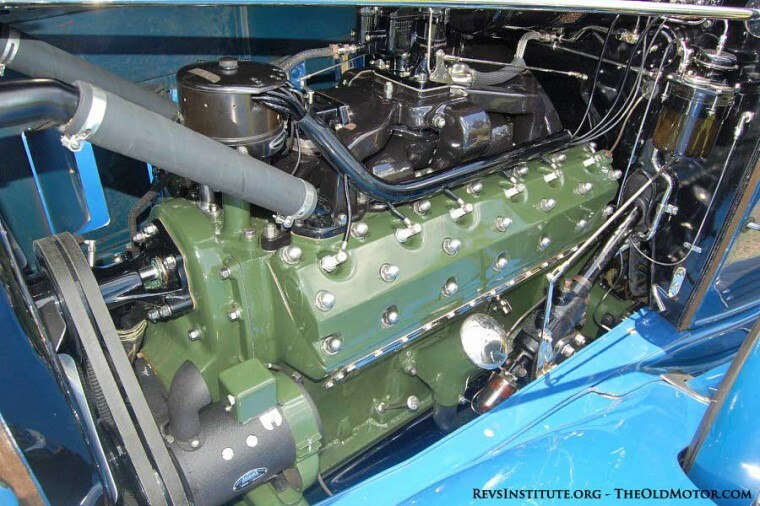 You can learn all about The Revs Institute here, and plan your visit here. Photos by Mike Ellis and the text below are both courtesy of The Revs Institute. For over half a century, the company suggested, ask the man who owns one, fully confident of what the answer would be. Packard owner loyalty was fierce. It still is. Enthusiasts of the marque today virtually leap at the chance to espouse the virtues of a Packard. The virtues were estimable. For extended touring on the open road, few cars could equal the comfort and ease of travel by Packard. Occasionally even Ettore Bugatti used one in preference to his own make for journeys on the Continent. In America, Packard was favored by college presidents and for ceremonial parades (Lindbergh’s ticker tape in 1927, Roosevelt’s inaugural in 1933 among them). Packard spelled prestige. 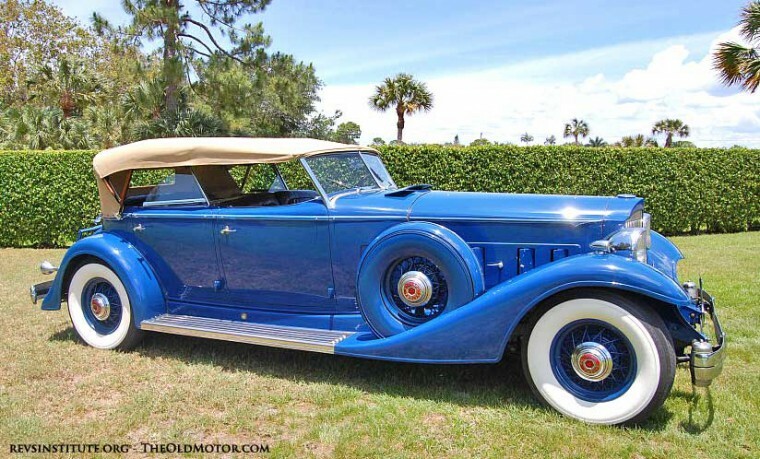 This V-12 Sport Phaeton typifies the classic Packards of the early thirties. Its price tag was $5875, its fuel consumption under ten mpg, its top speed over 100 mph. 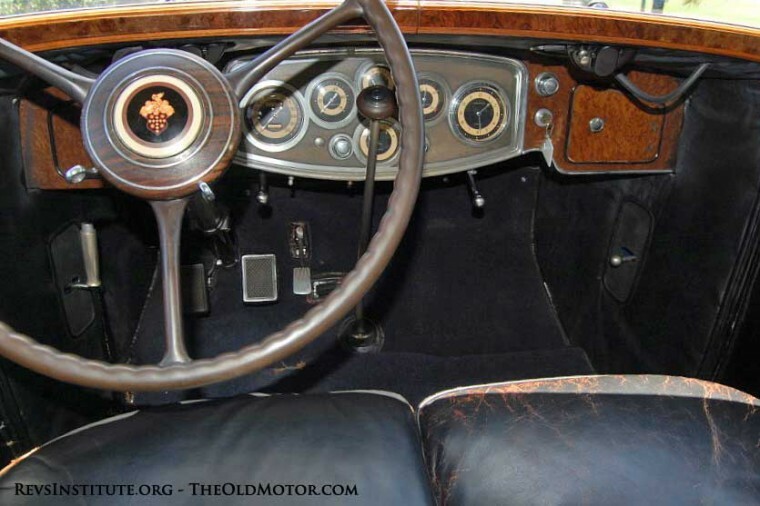 The car’s coachwork was by Dietrich Inc., Packard’s most prolific custom body designer. Sophistication of line and proportion was a Dietrich hallmark, as were nifty styling treatments of usually mundane features. The rear compartment wind wings in this car, for example, hinge at the rear windshield, attach at the door handles, and thus open and close with the doors themselves. If a breezier ride was desired, the wings could simply be unhooked and folded against the windshield; the entire assembly then rolled down neatly into the divider section. Precisely how many Sport Phaetons were built is not known. 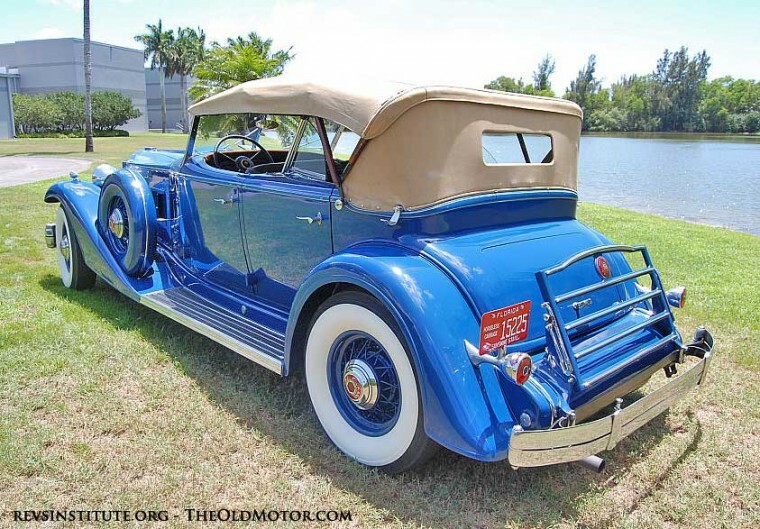 This particular car was displayed in Philadelphia in the spring of 1933 to generate interest in the new Packard models, but in that Great Depression year, sales were few. From an almost 50,000-car annual production in the twenties, Packard had plunged to less than 10,000 cars by 1933. 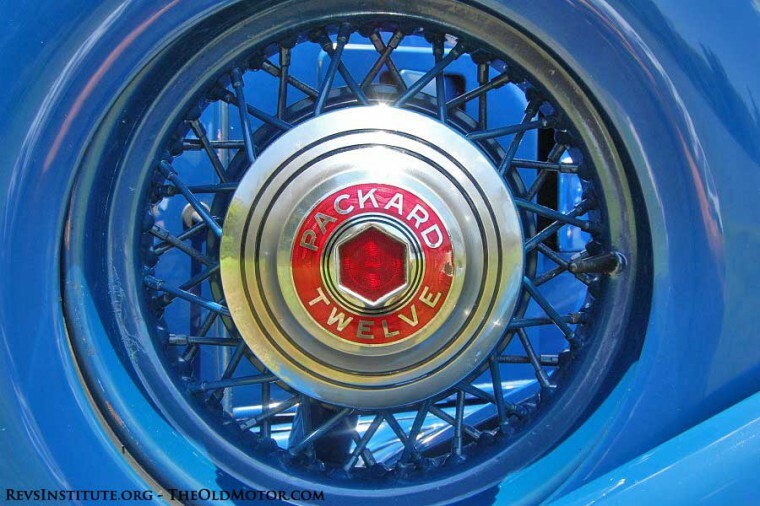 The top-of-the-line Packard (V-12 engine, 147-inch chassis) was available in 17 different body styles. Just 276 found buyers that year. 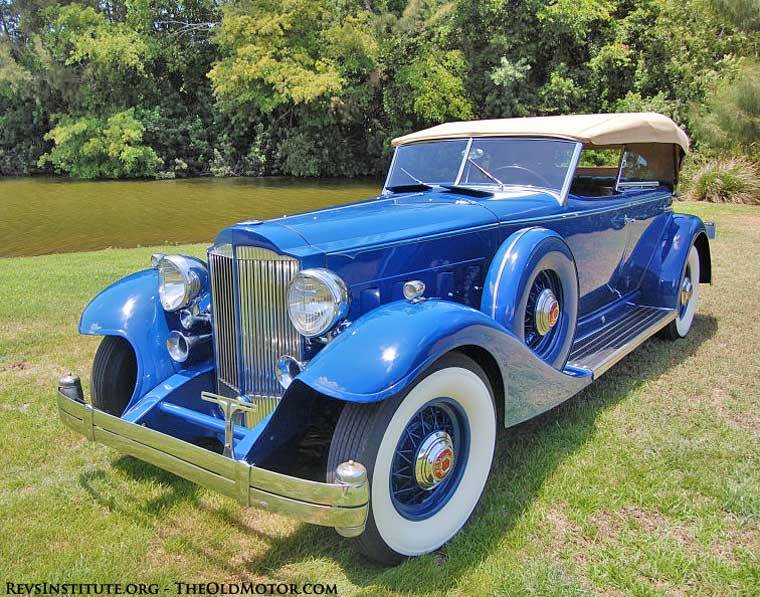 This entry was posted in Auto photos 1921 - 1942 and tagged 1933 Packard Twelve Sport Phaeton, ask the man who owns one, Dietrich coachwork, The Collier Collection, The Revs Institute. A beautiful car! I wonder if this is the original color. Al, I am not positive, but it believe it is likely. It still has its original upholstery. I am a docent at this facility and can only say that I am living a dream just to be honoured to guide people through it! This is a NOT TO MISS experience to anyone who loves cars. One of the ultimate classics. These Packard Twelve’s were one of the very best cars in the world in their day. I wonder if this is the ex-Briggs Cunningham car.